Can you still have face-to-face collaboration without forcing people into the office? At VAST Technologies, we believe the answer is YES! 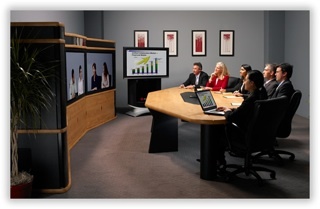 Our video and audio conferencing solutions help companies get business done faster no matter where their people are. Polycom Conferencing soutions have been the industry’s leading conferencing soluitions company for more than 20 years. VAST Technologies conferencing solutions deliver high-performance voice conferencing for nearly any type of room. Enjoy exceptional video and audio quality in standard-size conference rooms and boardrooms, in the largest training centers, and in classrooms of all sizes.